FREEPORT, Ill., September 20, 2018 – Fall head over heels with delectable gemstones and luscious Le Vian jewelry pieces at Frank Jewelers’ Le Vian One Day Only event. The occasion, which will take place on Oct. 18 from 10AM – 5PM, gives shoppers the chance to purchase one-of-a-kind and limited edition Le Vian items that cannot be found online or in other jewelry stores. At Frank Jewelers, event attendees can also browse signature Le Vian red carpet styles — designs that have been spotted on artists and celebrities at red carpet events all over the world. The design house is renowned for their immense creative influence in the jewelry industry. Le Vian’s picks for trends of the year are closely watched by other tastemakers, and these choices help shape the path other brands take with their product development year after year. Those interested in stopping by the event are highly encouraged to make an appointment with a Le Vian jewelry expert in advance. 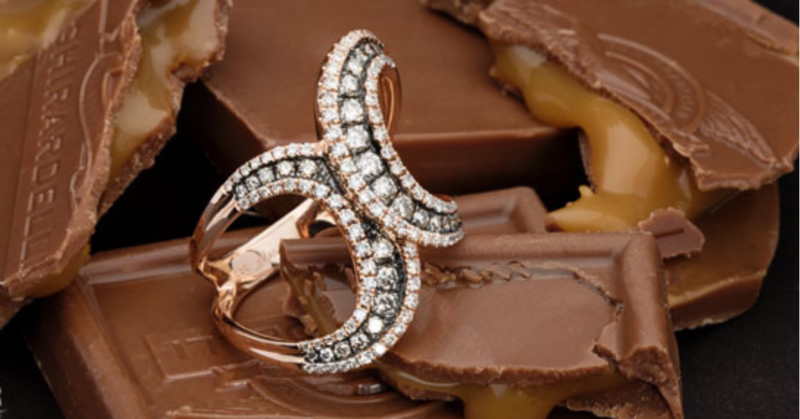 Reserving an appointment qualifies each visitor to a free 3 carat Le Vian Chocolate Quartz stone as well as an exclusive 20% Le Vian discount card valid for the day of the event. Please note that this promotion cannot be redeemed for cash or used to pay for previous purchases. This offer is valid exclusively on in-store purchases and special orders of Le Vian products during the event on Oct. 18, 2018. The 20% discount expires on October 18, 2018. To book an event appointment and save 20% on all Le Vian purchases that day, request an appointment with a Frank Jewelers jewelry specialist by making an RSVP here. Located in Freeport, Illinois, Frank Jewelers is a retailer of an assortment of fine jewelry, bridal jewelry, timepieces, and loose diamonds. Family-owned and operated, Frank Jewelers is a proud supporter of their Freeport community and the proud sponsor of organizations like the Freeport Catholic School System, Freeport School District 145, VOICES Domestic Violence, the United Way, and many more. In addition, Frank Jewelers offers a selection of services including on-site jewelry repair, timepiece repair, as well as custom jewelry design services. For more information on the promotions, events, sales, or services available at Frank Jewelers please call (815) 235-3169, visit their website at FrankJewelers.com, or come into their state-of-the-art Freeport, Illinois showroom today.